Dr. Edgar Clark is a radiologist based in Flagstaff, Arizona. He has been working in the medical domain for over 2 decades. He graduated from the University of Pittsburgh School of Medicine. Afterward, he completed an internship at the Conemaugh Valley Memorial Hospital, followed by two residency stages, in ophthalmology at the University of Pittsburgh Medical Center and in radiology at St Francis Medical Center. Mr. Clark is certified by the American Board of Nuclear Medicine and the American Board of Radiology. 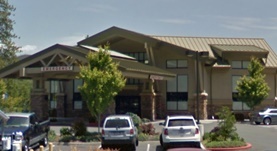 Currently, he si affiliated with the Feather River Hospital.